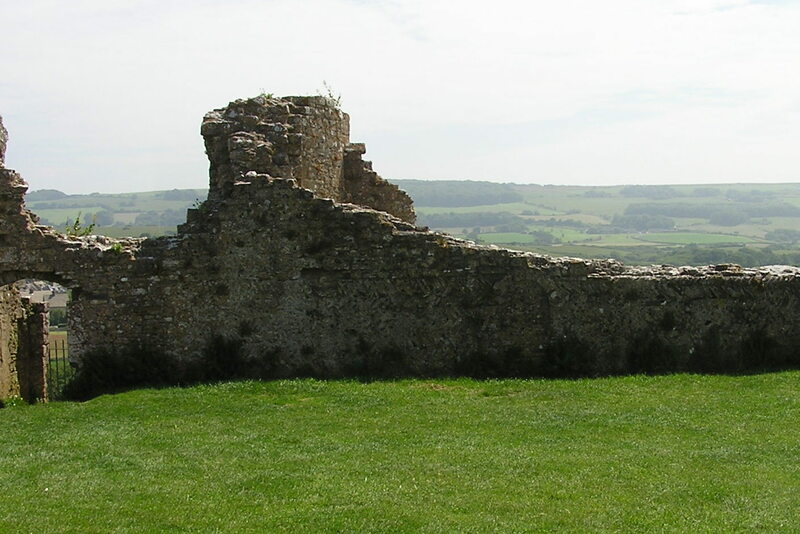 Today, the chalk hill of Corfe on the Isle of Purbeck in Dorset is crowned by the ruins of, for the most part, a 12th century Norman castle. But in Anglo-Saxon times a hunting lodge stood on the hill, and the story of what happened there on 18 March, 978, has been elaborately embroidered over the centuries. After Edward’s death, his 10-year-old half-brother, Æthelred II, took the throne, and the Chronicle account quoted above may have been written during Æthelred’s lifetime. 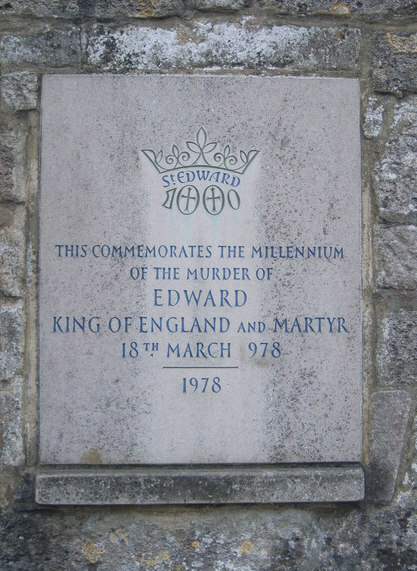 Note that there is no mention of how Edward was slain, or of who did it, specifically, although the murder appears to be laid at the feet of the entire English nation, which I find pretty interesting. Remember, the Viking raids began soon after this, and they were thought to be punishment for the sins of the people of England. Did that include the murder of a king? Now we have a full-blown, bloody scenario with a tragic, innocent young king, a wicked stepmother, Biblical allusions (a viper’s guile; a kiss of betrayal), a single murderer with a knife, and a pitiful, wounded victim trying to reach help to no avail. Wow. William could be a script writer for Game of Thrones. Some scholars, though, believe that William’s scurrilous portrayal of Queen Æfthryth is a reflection of events happening in Britain at the time William was writing his Chronicle. Henry I was on the throne then, but his only son was dead. The men of England were faced with the possibility of a woman succeeding to the throne, and that wasn’t sitting well with a lot of them. There were grave concerns about powerful women being in charge of the kingdom. At about this same time other sources vilify Queen Ælfthryth as lustful, a witch who dabbled in poisons, and a shape shifter, as well as the original wicked stepmother. So, what is the truth? What do we know for certain, and what can be conjectured from the historical documents? 1. There was a significant faction that had wanted Æthelred, not Edward, to be named king. This same group was disgruntled by Edward’s actions once he had the throne. 2. Edward was murdered, and there was probably at least one knife involved. 3. His body was thrown into a nearby well, then moved to Wareham. 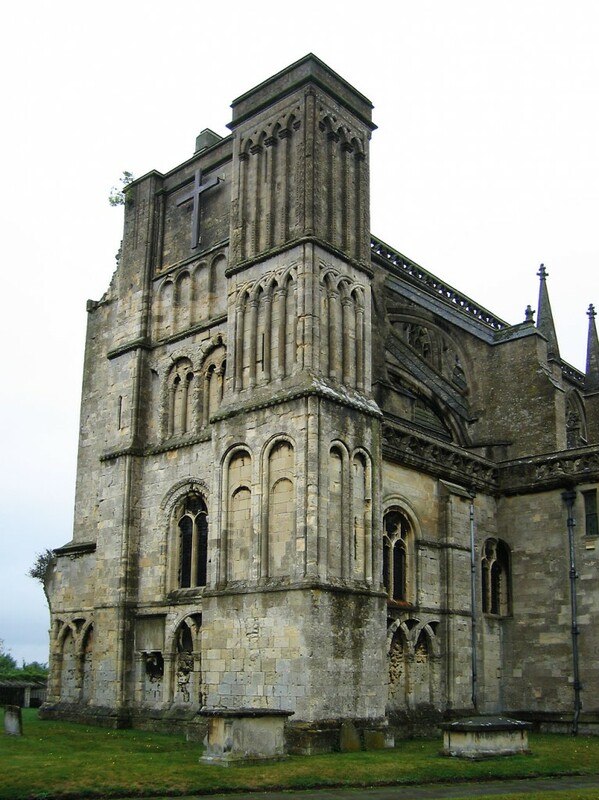 Finally he was reburied with great honor at Shaftesbury Abbey, but not until after Queen Ælfthryth was dead. 4. No one was ever punished for the murder of the young king. In my novels Shadow on the Crown and The Price of Blood, (following the suggestion of our favorite storyteller historian William of Malmesbury who writes that Æthelred was hounded by the shade of the murdered Edward), a guilt-ridden Æthelred is haunted by his brother’s wraith. 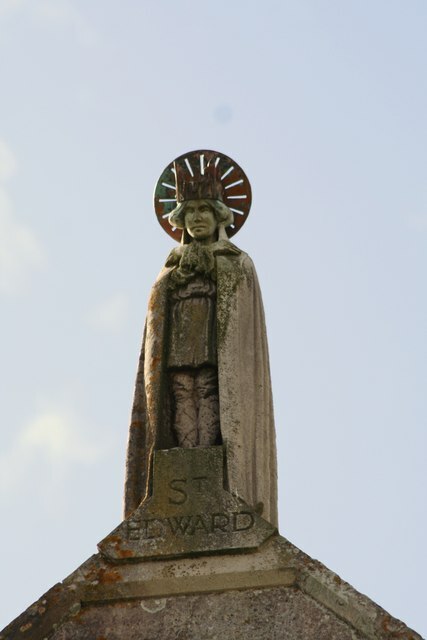 Whatever the truth of Edward’s murder – and it remains one of the greatest unsolved mysteries of the Anglo-Saxon period – his death was a stain on Æthelred’s reign that he was never able to erase. (2) The Blackwell Encyclopaedia of Anglo-Saxon England, Ed. Michael Lapidge, Blackwell Publishing, 2004. (3) English Historical Documents, 500-2042, ed. Dorothy Whitelock, Routledge, 1996. (4) The History of the English Kings by William of Malmesbury, edited & translated by R.A.B. Mynors, R. M. Thomson & M. Winterbottom, Volume 1 (1998), Oxford University Press. This entry was posted in Anglo-Saxons, History, Research, UK and tagged Aethelred, Anglo-Saxons, architecture, history. Bookmark the permalink. 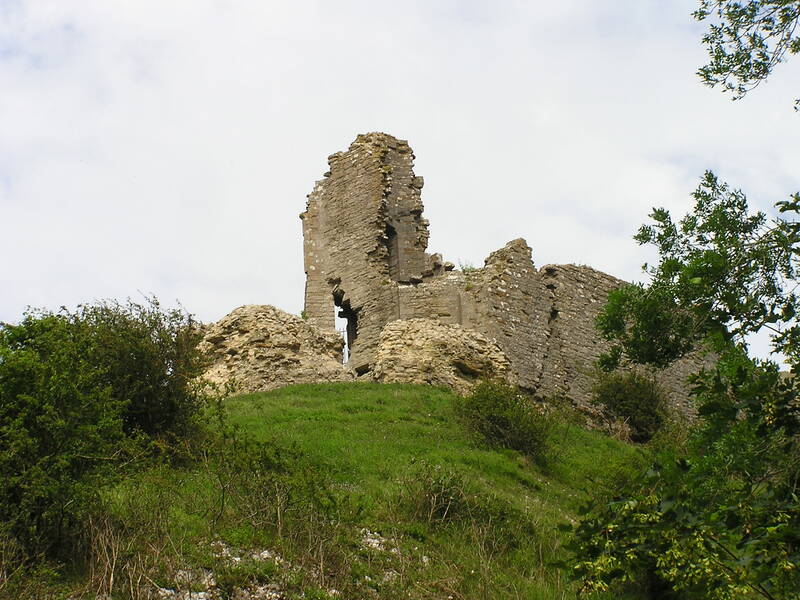 8 Responses to What Happened at Corfe in 978? Fantastic post. When I visited Corfe I was imagining Edward’s murder and also the poor French knights that King John had sent there. Our guide told us that the place was haunted. I couldn’t say whose ghost it might be, but there are plenty to choose from. It’s one of the best unsolved murder mysteries that doesn’t get enough credit or attention. When one adds in the ghosts and the hauntings of Athelred it becomes even better! What is sad is how much written history has been lost over the centuries due to those like Henry VIII, or due to unknowing and wanton destruction such as the Viking raiders caused with their assumptions that those words were unimportant at the time. This mystery also points out the problem of who to believe in historical accounts- or any accounts of an event? It’s one of those cases of unless we were there and actually witnessed the events, we will never be sure of what really happened or why? And, even if we had been there, we would each recount or remember the event with a slightly different perspective. It’s true life mysteries like this one that I love reading about from all of those different perspectives of what might have happened or why it happened! Hi Judy. You’re right, the further into the past we look, the foggier it gets. 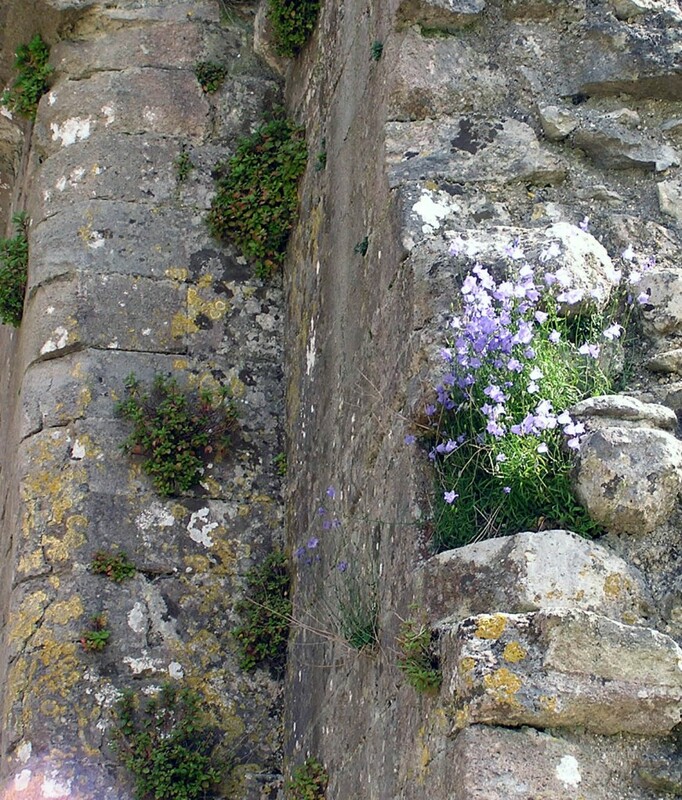 And it’s those gaps in our knowledge – those mysteries – that make historical fiction so much fun to read and to write. Authors have to do the research, of course, and explore all the different theories about what took place, and that’s a fascinating endeavor, too. The historical novelist owes a very great deal to the scholars who do all the in-depth research that makes our flights of imagination possible. 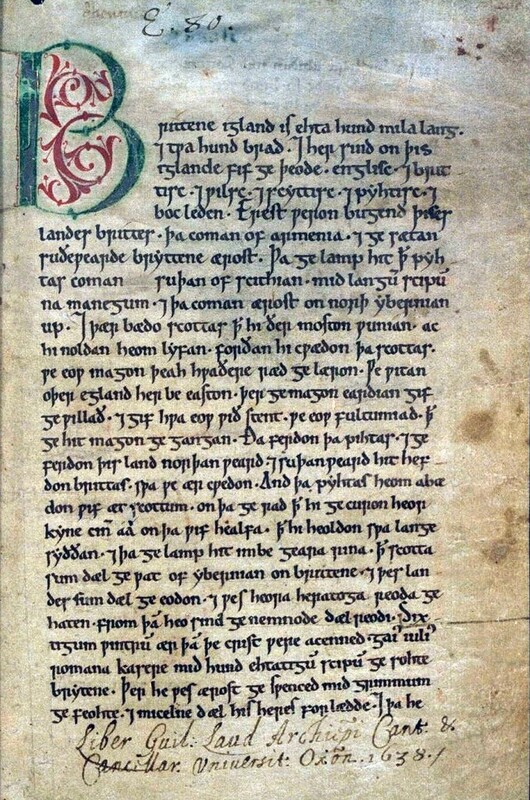 You may wish to bear in mind that the ‘Passio’ only survives in post-Conquest manuscripts and is now thought to have been written in the late (rather than early) eleventh century, perahps by Goscelin of St-Bertin. This substantially changes the picture, leaving us with no pre-Conquest (or even near contemporary) source implicating Ælfthryth. Of course, it’s hard to prove a negative, but I’d be wary of using the ‘no smoke without fire’ argument under such circumstances. Thank you, Professor Roach, for pointing out my error about the date of the Passio – which was, indeed, my error. My source says late 11th century, and I missed that. I have corrected it in my post. 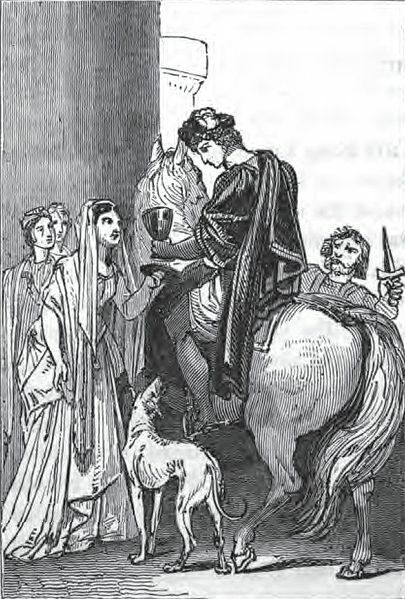 I believe most scholars today probably agree with Sean Miller’s assessment in Blackwell’s that “without earlier evidence it is simplest to assume that Aethelred’s zealous thegns acted on their own initiative, perhaps expecting more advancement under Aethelred.” This entire incident may be an excellent example of the vilification of the reputation of a powerful woman following bitter court rivalry between nobles, churchmen, & family. Rachel Anderson, in a paper she gave at Kalamazoo in 2012, made a strong case for the queen’s innocence. Still, in Unification & Conquest Professor Stafford writes of Aelfthryth, “The forms of political action open to women were limited to the intrigues of court, survival in that world their only hope. If we cannot know whether she planned the murder, it is certain that she benefited from it.” I hope I made clear that I was expressing my own personal opinion on the queen’s involvement. I have to plead guilty to viewing it with a novelist’s gimlet eye rather than the more sober, objective gaze of a scholar and historian. To be fair, I doubt it’s really ‘your’ error – much of the earlier literature presumed that the later Passio was based on an earlier one of c. 1001 and it’s only recently that the matter has (to my eyes) been definitely settled. In any case, it’s wonderful to have a novelist working on the period who cares so much for such (relatively minor) points of detail! I’m enormously grateful for the help and encouragement I’ve received from the academic community. On a final note regarding Aelfthryth, another novelist has taken a long look at the queen in a recent book that I have not yet read. Elizabeth Norton’s ELFRIDA has her as the central figure. I’m very curious to see how she deals with the events at Corfe!